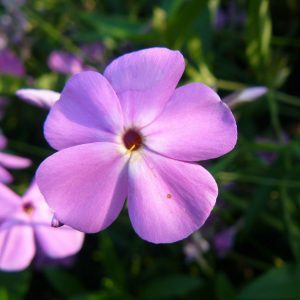 Hoher Sommer-Phlox. Syn. 'Mashen`ka'. 'Машуня' ('Машенька'). Pink flowers with brighter center and white lines on the petal sides. Oval-conic inflorescence. 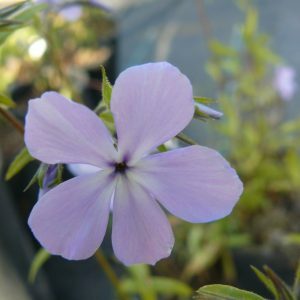 Compact solid clump, good grower.